This is the perfect webcam for any Trekkie out there. It’s made to look like the original Starship Enterprise. It’s also great for doing video chats or sharing video with your fellow Trekkers around the galaxy. 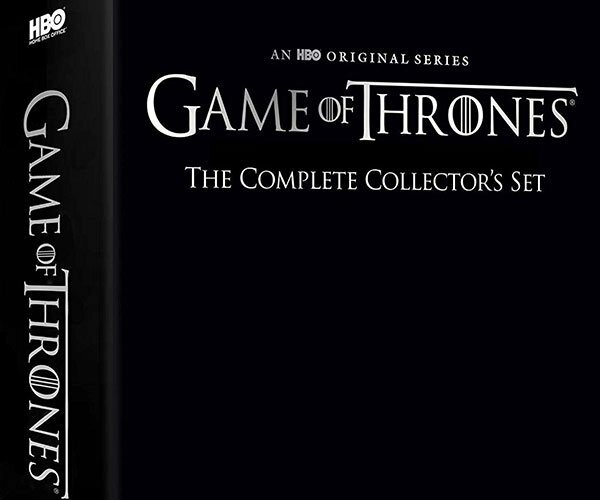 I’m sure that Trekkers all over the place will be rushing to buy one of these. 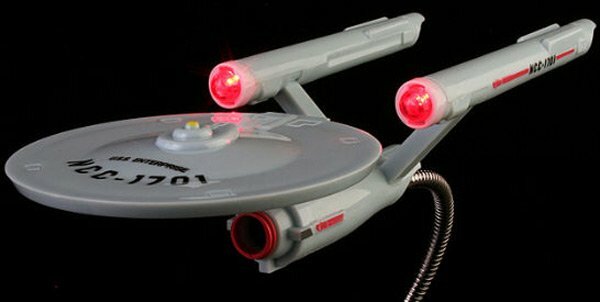 The warp nacelles even light up to give you that special starship effect. The webcam offers an appropriately 1960s retro-futuristic resolution of just 0.3 megapixels, and is capable of capturing 30 frames per second. 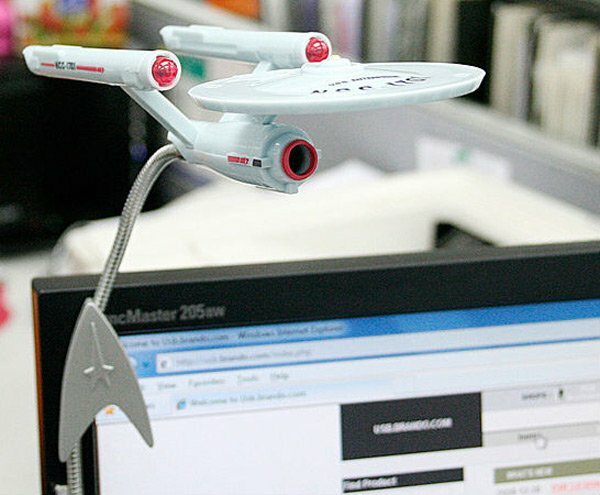 It’s also got a handy bendable “gooseneck” mount so you can float the enterprise above your desktop or monitor. 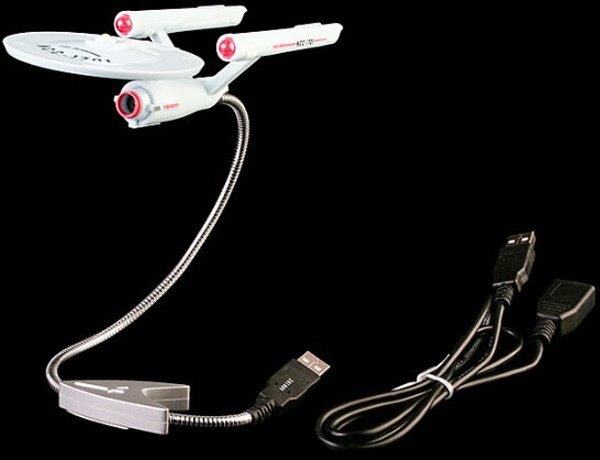 You can get your Star Trek USB Enterprise Webcam from Brando for $30 (USD). Kirk out.